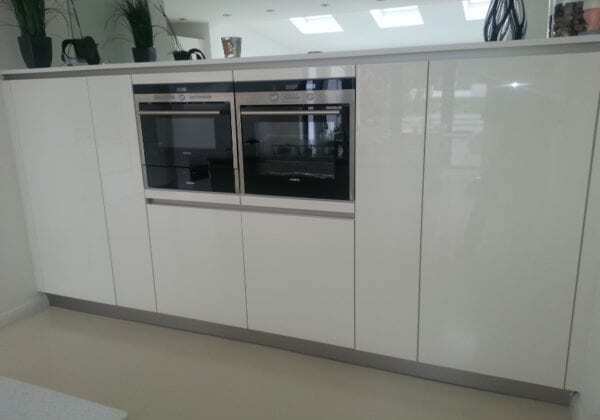 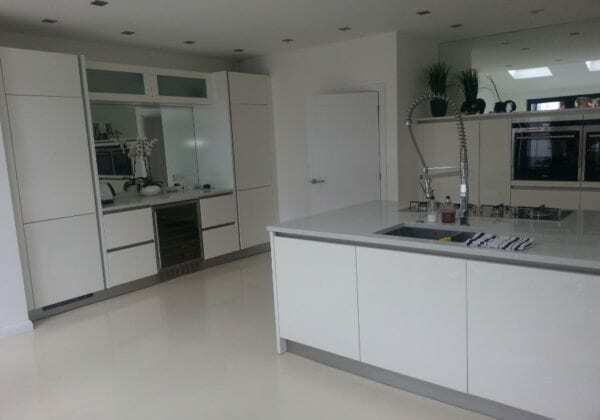 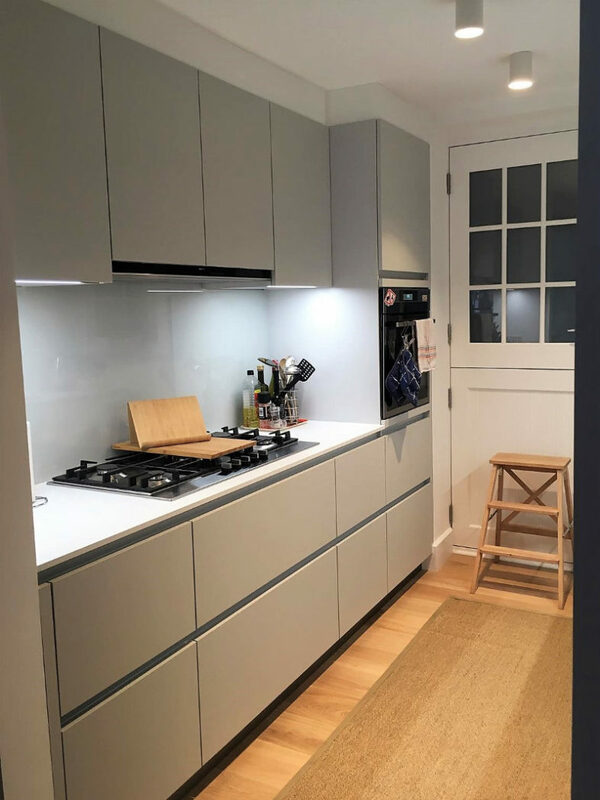 Next125 Handleless Brilliant white high gloss with stainless steel effect plinths and grip rails. 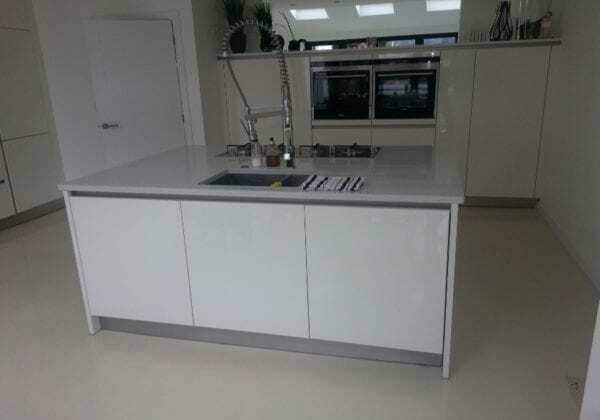 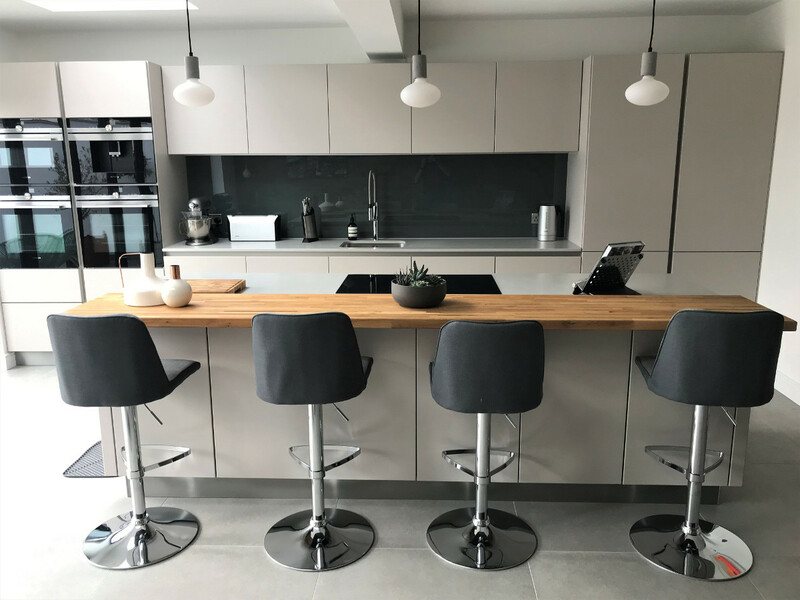 180cm long island with sink and hob. 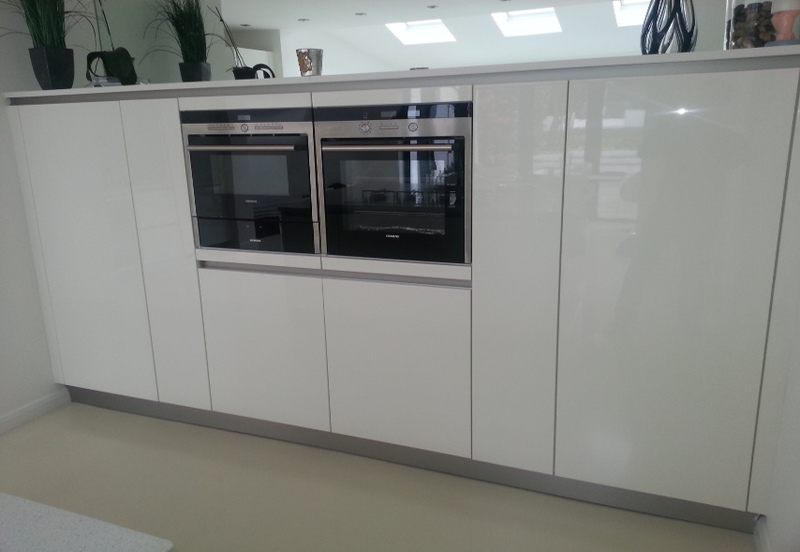 150cm mid height units with two built in Siemens single ovens. 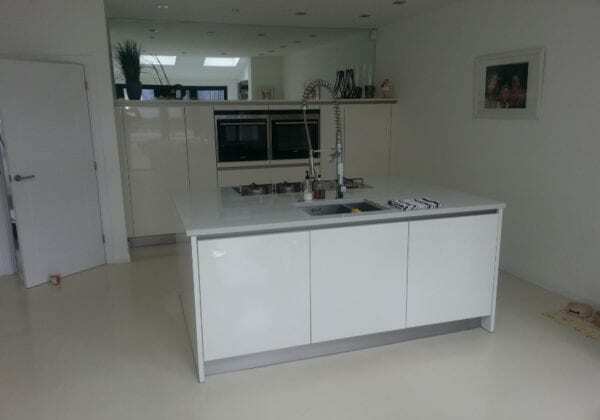 60cm wide wine cooler under worktop.